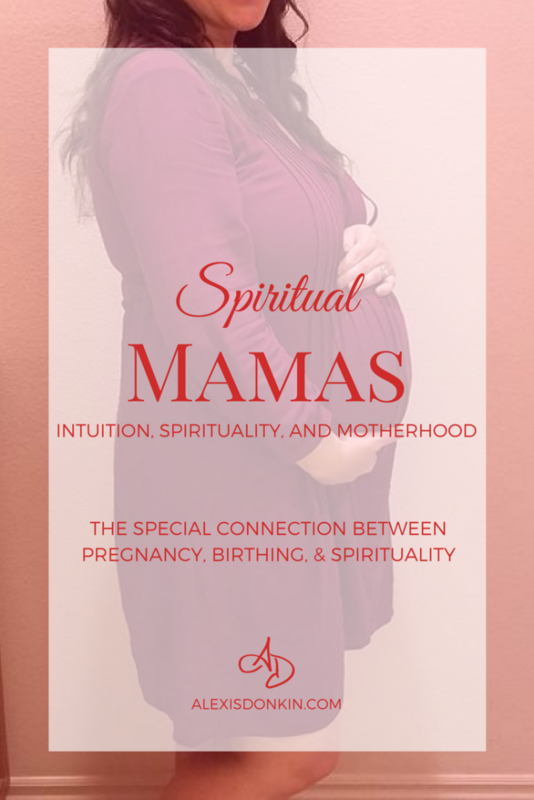 When I first got pregnant this time, the first thing I googled was “spiritual mama.” I thought for sure this was a thing, but clearly I was wrong. Pregnancy isn’t usually the first thing people think of when they think of spirituality, but it is a very sacred and spiritual time. This is a rite of passage for women into motherhood, and their bodies as well as their hearts, minds, and spirits, are forever changed through this process. As a psychic this does even more stuff. 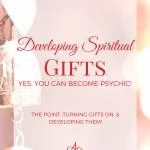 Because it’s such a rich and important time, I wanted to break down some of the different aspects of pregnancy and spiritual gifts, as well as spirituality generally. The other day I was on a pregnancy forum and talk turned to “spooky” stuff. Mostly the women wanted to talk about times they heard or saw something in their houses – a plate breaking or a door opening when no one else was around. This is the typical ghost story thing that kids share at sleepovers, after which no one sleeps, and some people have nightmares for weeks. As a psychic it’s always interesting to look at these discussions, because I come from a very different understanding of them. They’re nothing, in the grand scheme of things. Mere blips in the spiritual realm, as far as I’m concerned. Certainly they’re nothing to be scared of – but for those who are uninitiated, who haven’t done deep dives as I have, I understand the fear. This makes even more sense for these women – many of whom had zero paranormal experience before their pregnancies, and then suddenly during pregnancy, they started seeing things. 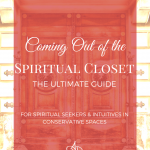 I’ve stated in my Gift Development and Guide Connection Workbook about how pregnancy can be a doorway into intuition, and it can. Pregnancy is the reason women are traditionally associated with Spirit. You may be shaking your head – why Alexis?! That makes no effing sense! But it does when you think about what happens in the womb. A pregnant woman is not only creating the body, but functions as an anchor – a kind of Spiritual portal for the soul to be incarnated on earth. A pregnant woman is a literal bridge between Spirit and matter. Women have an edge because we hold the potential for this even when we’re not pregnant, never intend to be, or cannot be. The doorway is there. 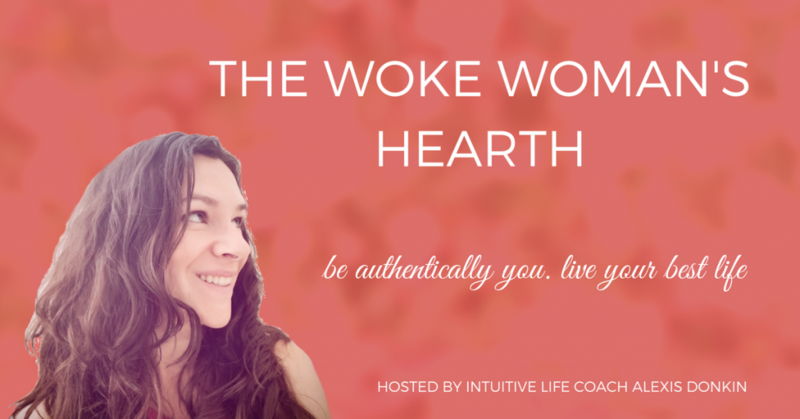 This is why women’s intuition is a thing – because those bits of Spirit can drip through, even if we’re not seeking it. So some women, who have the other potential psychic pieces in place, may suddenly find themselves experiencing new things during pregnancy. And some may find the door permanently open at that point, while others may find it shuts soon after childbirth. Much of this has to do with desire and fear. As in, if you want the door to stay open, it will. If it freaks you out, it will close. So what about someone who is already psychic and then becomes pregnant? What does this change mean for them? I knew I was pregnant from conception (I actually knew this the first time too, but this time I knew it because I saw it clairvoyantly.). This made things a little frustrating during the “two week wait” as I waited for observable proof of the thing I already knew. Pregnancy comes with it’s own extra guide. I have a special guide who is only here for the duration of my pregnancy, and she may move to become my daughter’s guide, but I’m pretty sure she’s just a Spiritual pregnancy midwife. My regular guides are very protective over this little girl. They’ve set boundaries in Spirit and sort of “claimed” her. For this reason, along with their intense desire for her birth, I’ve known she would be healthy etc. I’ve been able to communicate with my daughter directly. I’ve talked with her Spirit from the very early stages of pregnancy. Being intuition showed me how my daughter’s choice to be born is tied in with my journey, as well as my son’s, and hers. Apparently we have things to do together. My abilities have definitely grown as a result of my pregnancy. I’ve seen jumps in claircognizance and clairaudience, as well as being able to see auras more clearly than before. I’m also noticing that I’m able to predict natural processes – including earthquakes and rain storms. These things may have happened on their own with time, but I’m sure pregnancy gave their development a little boost! I have spoken with some women who had a range of abilities before pregnancy and for whatever reason, their abilities shut down during their pregnancy. 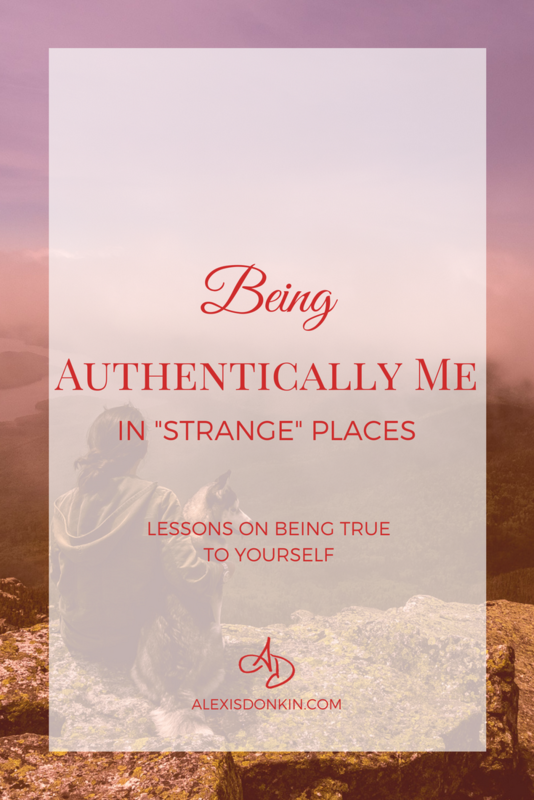 While I never had mine completely shut off, there were times when I felt dull in my abilities – as though I was sensing things through a fog of sorts. I think this has to do with the energy required to create another being. Similar to when a person is sick, one’s senses may dull because the body and spirit are focused on the task at hand (in this case, creating a whole other body and incarnating a soul). Pregnancy isn’t just a path to connect with intuition. It can be a spiritual experience apart from any abilities that might develop. But first, I want to counter an idea about spirituality and parenting. One of the things Buddha stated was that it was necessary for a person to give up earthly attachments in order to reach enlightenment. And that part makes perfect sense. He went so far as to say the only way to reach enlightenment was to be celibate, however. As in, parents can’t possibly become enlightened. I am painfully aware of why he said this, but I also think he was wrong. Yes, having a child makes you really grounded in this reality. It is an earthy kind of connection, but there are also things about being a parent that enhance and enrich spirituality. There’s something about being a parent and watching the joy of another person that brings you back to your own joy. There’s something about seeing the pain of another so close to you that can help you soften and empathize in ways you might not be able to if you didn’t have children. And then, as a woman, there’s the deep connection to Spirit that happens during pregnancy. Yes, it does bring a woman into her body in ways that few things can. I am very aware of my body these days. But I’m also aware of the connections of things – of the movements of life, the Universe, and everything. Reaching enlightenment as a parent has unique struggles, but I don’t think it’s impossible. Some parts of parenting may even be helpful. And of course, if you did reach enlightenment as a parent, well, all the more power to you. One last bit worth mentioning when it comes to the spirituality of pregnancy and motherhood is birthing. Birth is a profoundly sacred and spiritual act. I know that many women, unfortunately, are robbed of this experience and find themselves in fear and pain. That said, I think any birth can be spiritual, and all birth is sacred. I say this knowing I am particularly biased toward natural birth. Why am I biased? Natural birth makes it easier to experience this sacredness. When I gave birth to my son, I had a vision. This was before I had accepted my abilities and owned them. Birthing was so powerful, it pulled me out of myself and showed me the connection all birthing women have. I saw every mother before me and every mother after me. I saw us all in the throes of birthing, calling on the Divine Feminine, and realizing the creative urge of the Universe in our bodies. Whenever a contraction (or pressure wave as they say in Hypnobabies) hit, the sounds I made were a chant – chanting my son into the world. It was the supreme act of worship for me. And I loved every second of this experience. 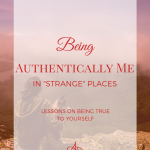 So yes, being fully present, without drugs and able to control my birth environment allowed me to feel the full sacredness of birth. That said, I think it’s possible to do in other birth situations. If a woman intends her birth to be holy, she can make it happen. All that’s needed is setting the intention and gaining the support of her birth partners and care providers. Clearly pregnancy, birthing, and parenting are spiritual experiences. They give women the possibility to access parts of themselves that are difficult to connect with otherwise. Is it impossible to access these parts without them? I’m not sure. But certainly the process makes it easier. Click the above image to join our welcoming community! ← Neither Selfish or Selfless – Only Loving! This truth resonates with me. Thank you for writing this article. It makes so much sense! I think a lot of people don’t think about this – but the fact is the womb is a powerful thing. The more women can tap into that space, the more we can come into our abilities. It’s definitely an intuitive edge! I’m so glad this resonated with you!